The creator of the world's largest house made entirely out of beer mats has sealed his Guinness World Record, by pulling it down. 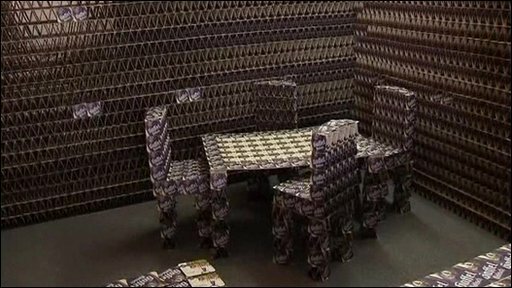 Sven Goebel used over 300,000 coasters to create walls and furniture for the house. But to claim the record title, he had to prove no adhesives had been used to hold his structure together.